Drink your spices! Adagio Tea is known for their uber high-quality, farm fresh, artisanal tea. (Their teas make exceptional gifts too). My favorite are their gorgeous blooming flower teas. True works of art. Right now, if you go to their website, www.adagio.com, you can sign up for an electronic $5 coupon to apply towards one order of tea. Holiday cooking season has arrived. And with it the copious demands for ginger, cinnamon, allspice, nutmeg and cloves are here. The The Great American Spice Company is an excellent place to load up your pantry. They recently spiced up their shopping cart with a generous Thanksgiving offer. From Nov. 19th – Nov. 26th take $20 OFF $70 or more + free shipping Over $65. Follow this link and the code THANKSGIVING. 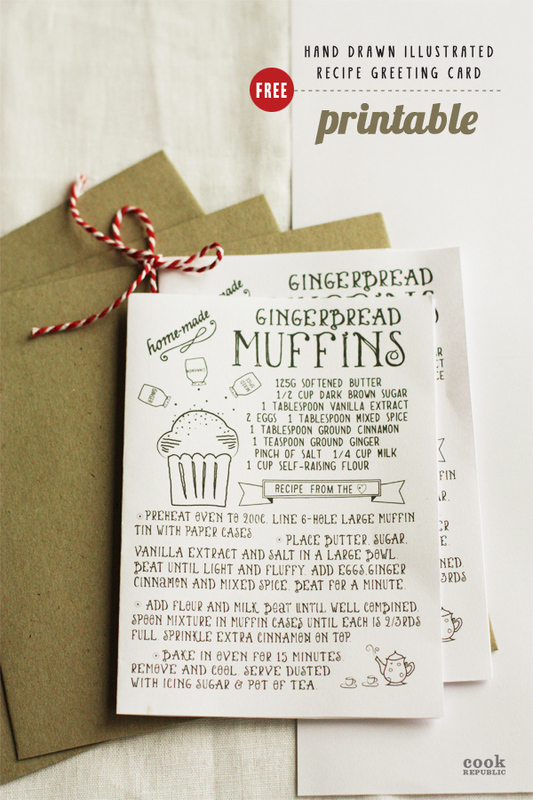 The lovely blog Cook Republic put together a sweet little free, downloadable printable holiday greeting card of a gingerbread muffin recipe that you can turn into a wonderful gift. Simply print up the card on nice quality paper and doll it up. Take it one step further by layering the dry ingredients in a mason jar and attaching the card. Can’t leave out Amazon. Why? Because window shopping isn’t just for brick and mortar. Amazon has some great buys and a neat selection of herbs, spices, and seasonings. Check it out for gifts and pantry stocking for yourself. Click the arrows to see what’s currently available. Frontier Organic spices, The Spice Lab, and an assortment of vanilla beans are common finds here. How to Conquer Grocery Prices with Spices. If you’re looking for ways to economize, chances are you will appreciate some spice price advice.